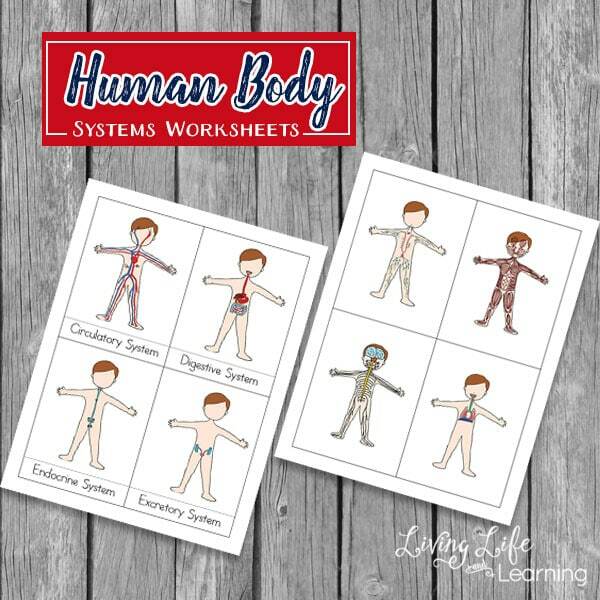 As I was working through the human body system printables, I realized that I didn’t have a printable to cover the all of the systems as an overview before we jump into each of them separately so I created these human body system worksheets just for that purpose. 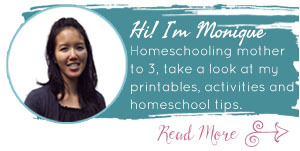 I’ll be teaching our grade 3/4 homeschool co-op class this term so thought it would be a great way to start off the class. 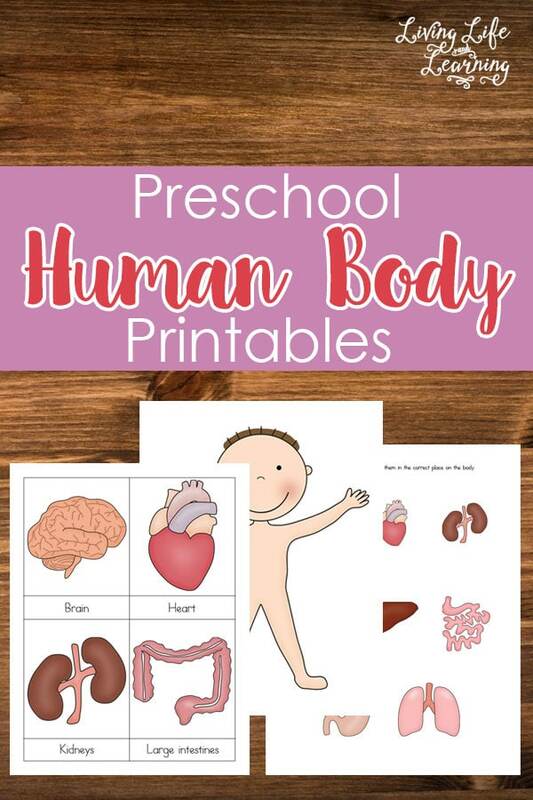 With these printables, you can use them any way you’d like. 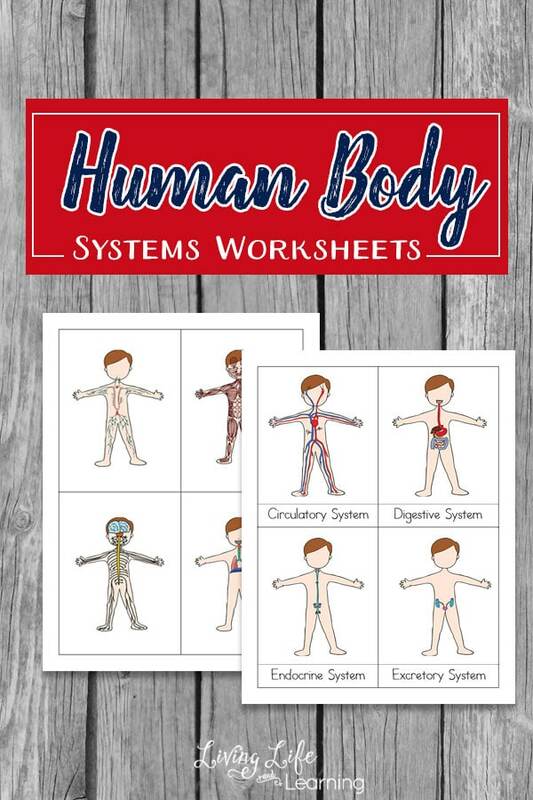 I like to stress that each system has a very specific function and that each organ within the system also has a job. 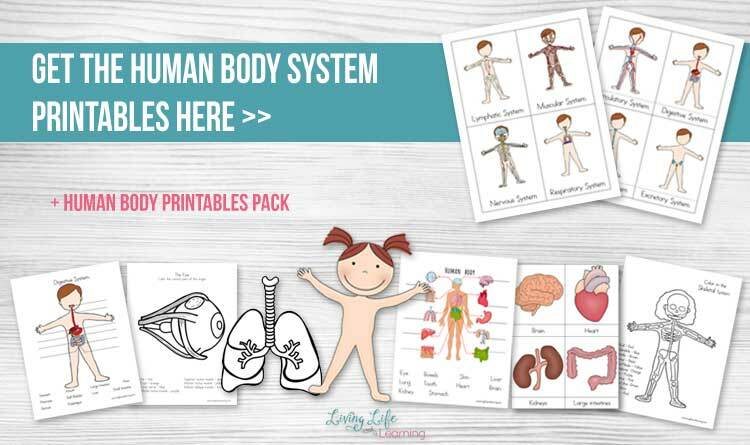 You can go over each of the body system’s functions and depending on the age of the kids, decide what language or terminology would be most appropriate. 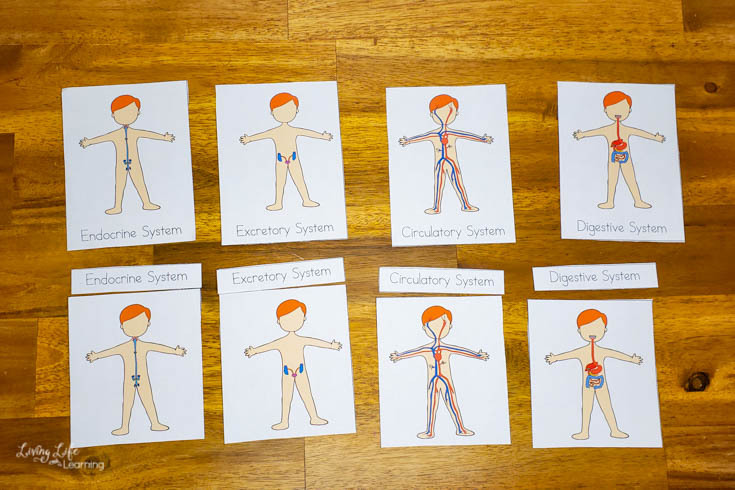 Endocrine system – a collection of glands that produces hormones that regulate different body functions like growth and metabolism. 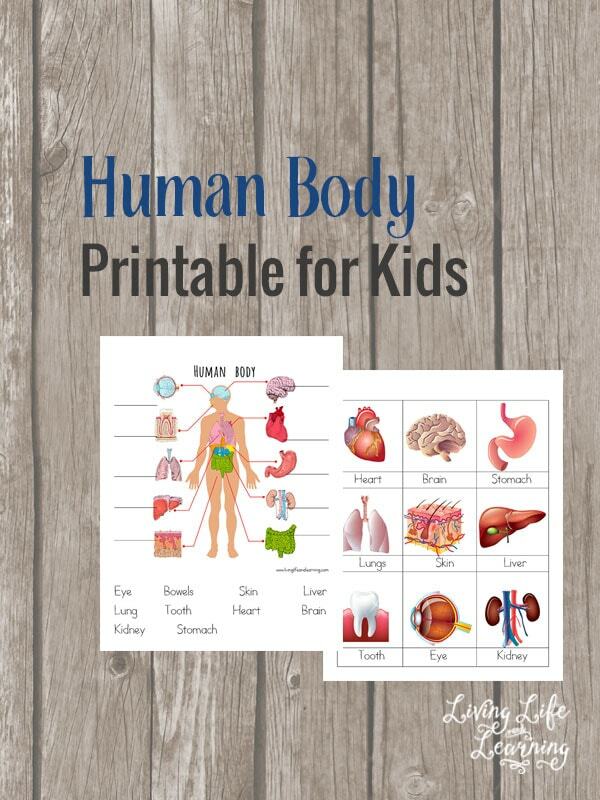 You can use the printables as 3 part cards and have your kids match them up. 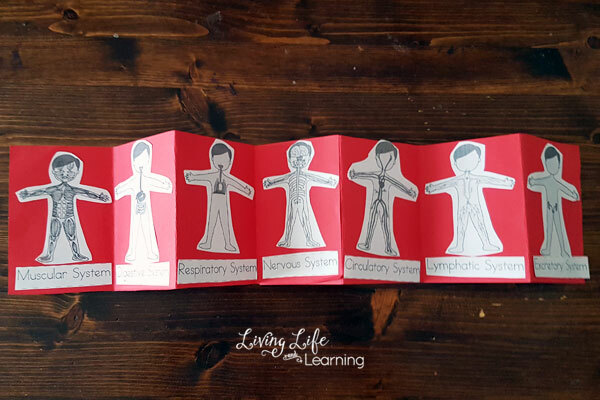 For our co-op we turned them into a foldable booklet so they could take it home. 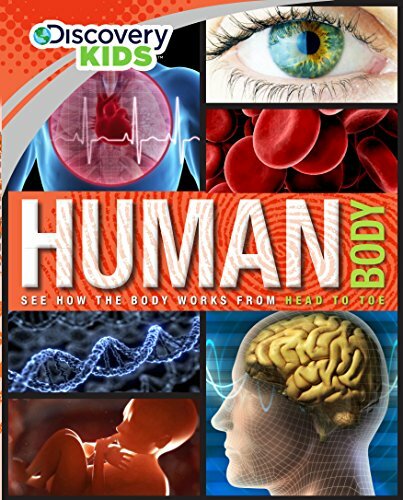 Try these human body books to accompany your study of the human body, they’re filled with wonderful colorful images that will help your kids visualize different areas of the human body. 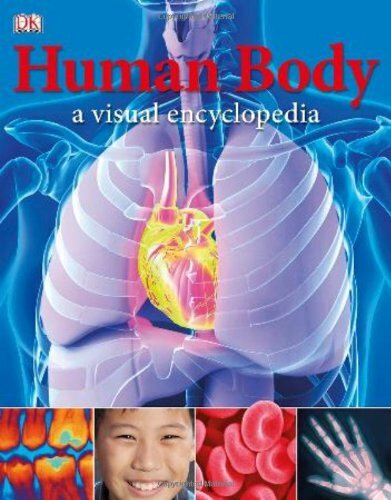 Explore the human body further with these amazing human body kits. 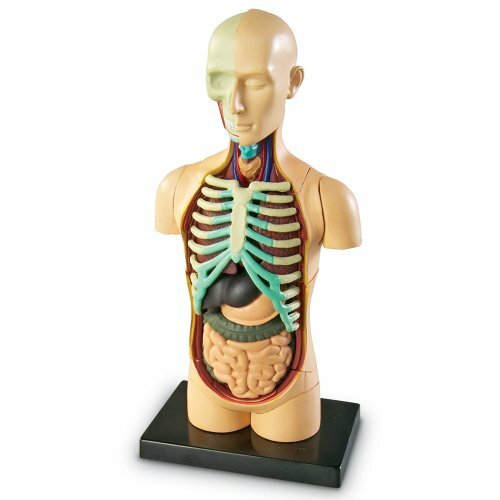 See where the organs are held within our own bodies. 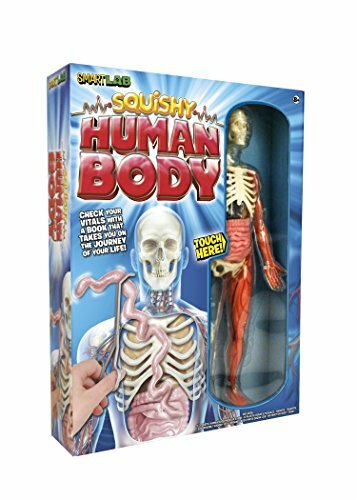 Challenge your kids to point out anatomy on their own body as they find it on the models. 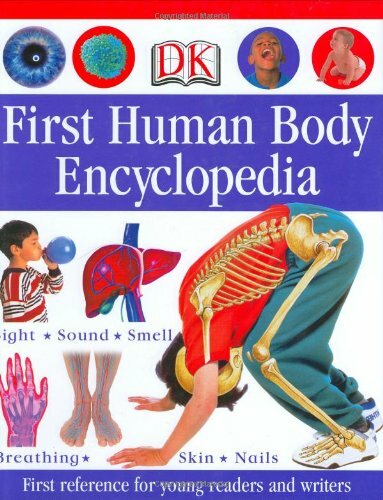 Yes you are, you are free to use this for non commercial purposes for family and classroom use.